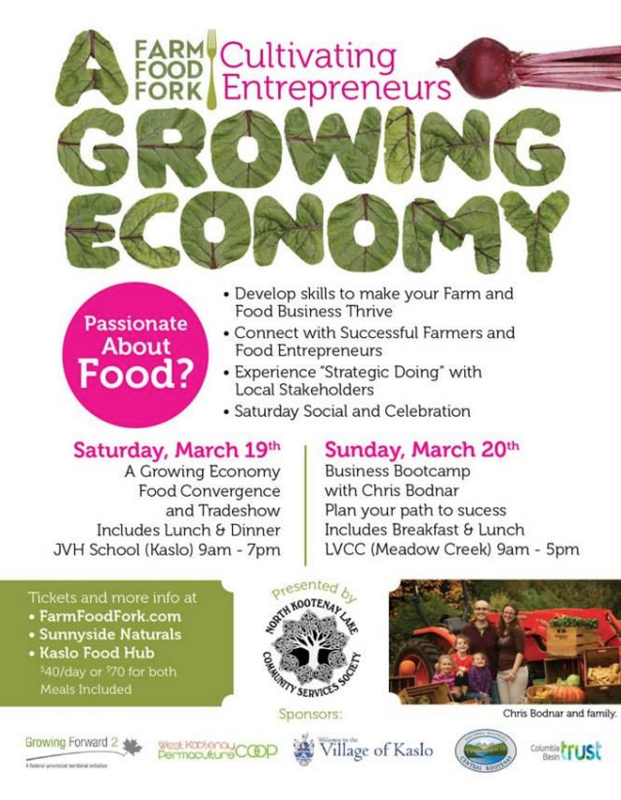 Today’s show is all about the upcoming, food-centric A Growing Economy conference, being held March 19 & 20 in Kaslo and Meadow Creek. The folks leading that charge are interviewed, with some fun music thrown in to whet your listening appetite. Enjoy!